New gTLDs are all the rage these days, although some old school domainers still refuse to accept this new domain world order. Millennial domain investors running Austin or Silicon Valley corporations, are openly investing in new gTLD extensions, and the latest one past the ICANN gates is dot .BRO. Frank “Fritz” Krejewski operates his Santa Clarita start-up with a crew of 12 hard-working bros, and a budget of just under $1 million dollars. A seed funding and a second round of financing from millennial investors provided enough money to bootstrap Krejewski’s latest venture. “Listen bro, we all use a lot of friendly chatter among us at the company, everyone calls me bro or Fritz,” said Krejewski, exhaling white vapor from his SMOK vape. “The fact is, whether you play Fortnite 24/7, serve a double mocha cappuccino at Starbucks, or you run a billion dollar company, you’re still a bro,” added Frank Krejewski. Dot .BRO domains will attempt to capture the full spectrum of both male and female users, from gamers to executives to old people that just want to be cool. “Every dot .BRO domain comes with its own printed sticker, bro. We are seriously investing in an untapped market of cool bros, like me and you, bro!” exclaimed the Dot .BRO founder and CEO. If you are a bro, or if you have bros, the wait is over, bro. 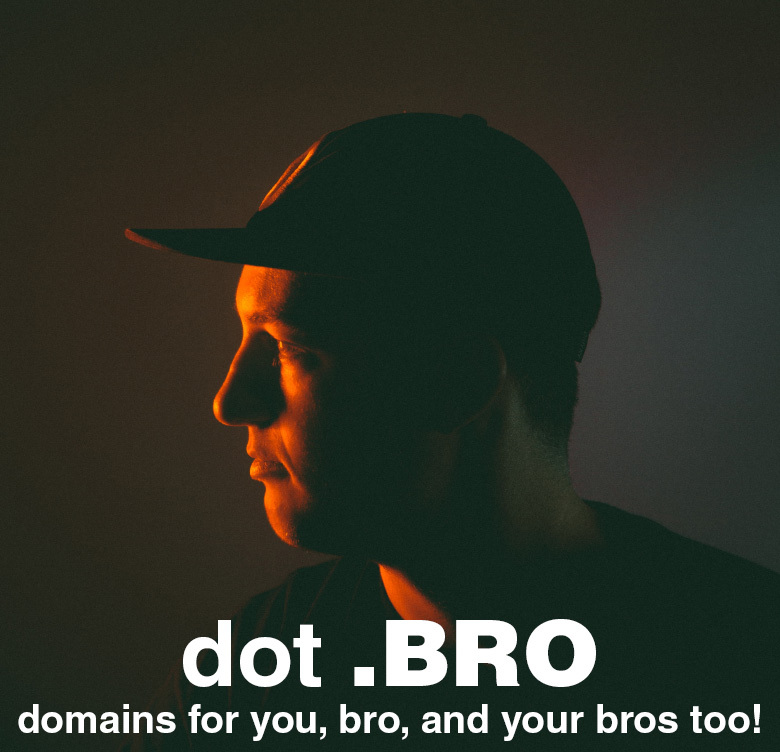 Get your dot .BRO domains today, yo. Dot .BRO domains are here, finally, bro. Bro do you even domain?